While we were in on vacation, we saw many different kinds of animals. 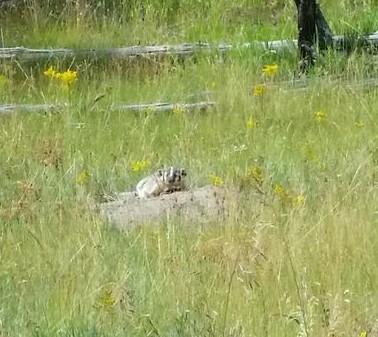 On the way out to Yellowstone, we drove through Custer State Park and saw all the wildlife there. Overall, we saw many more animals than I expected. I will put pictures with the animals that I have pictures of. Porcupine – we actually encountered 2 of them. Both were on the road. We joked that they were trying to commit porcu-cide. 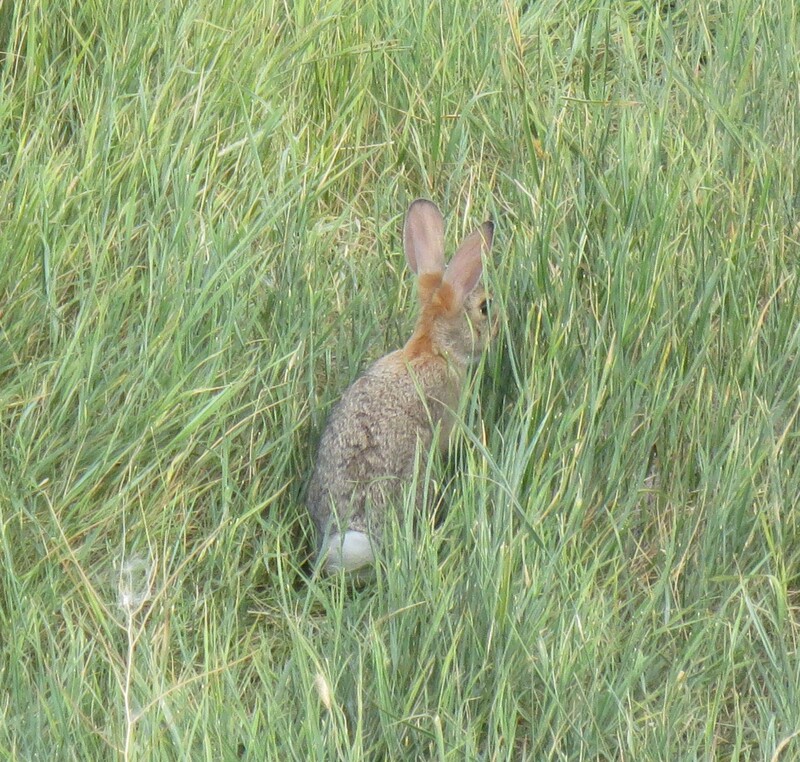 Here was a rabbit we saw in the Badlands in South Dakota. 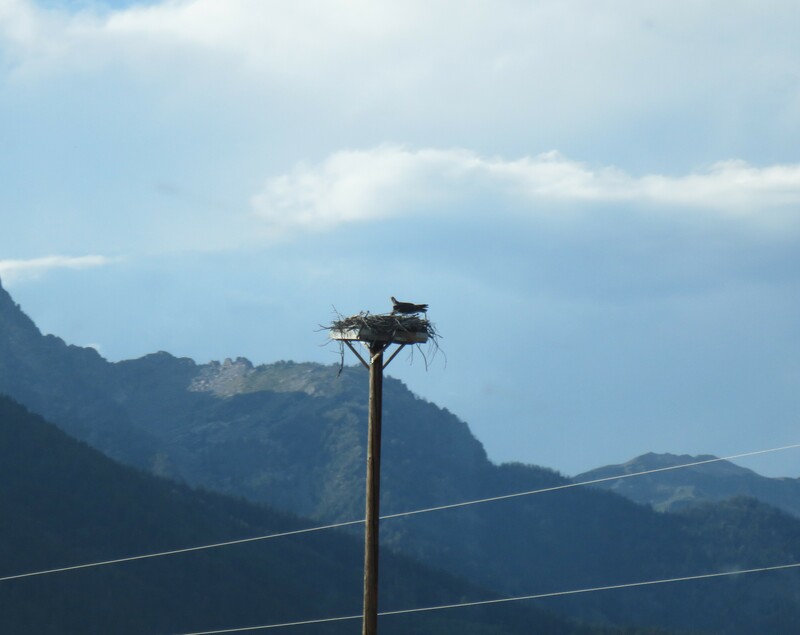 This was either a bald eagle, or an osprey nest in south Dakota. 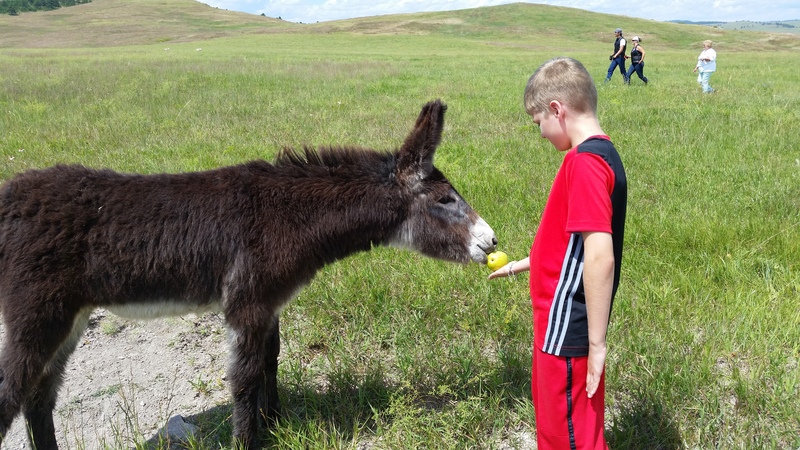 My son Michael thought it was so cool that the donkey would eat a pear right out of his hand. 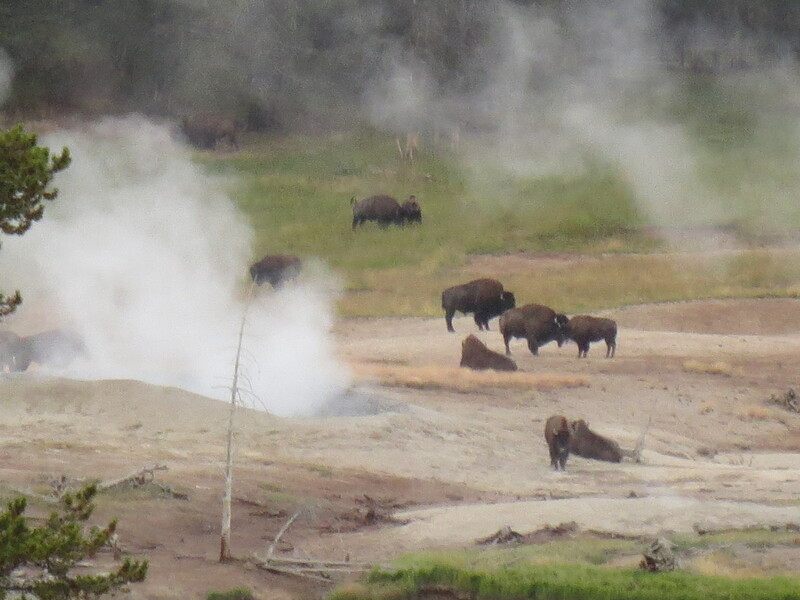 We came across this herd several times during our week in Yellowstone. Sometimes they were by the road, sometimes by the hot springs. 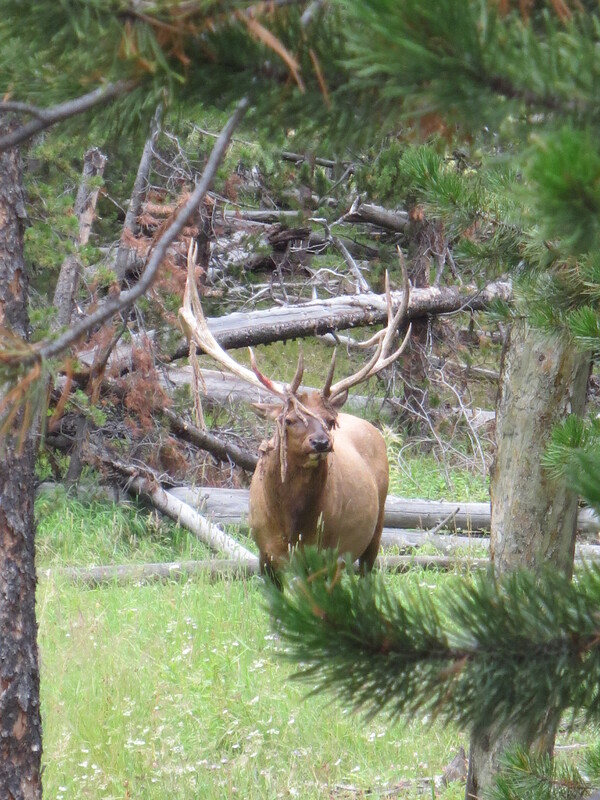 This was one of many large bull elk we saw. 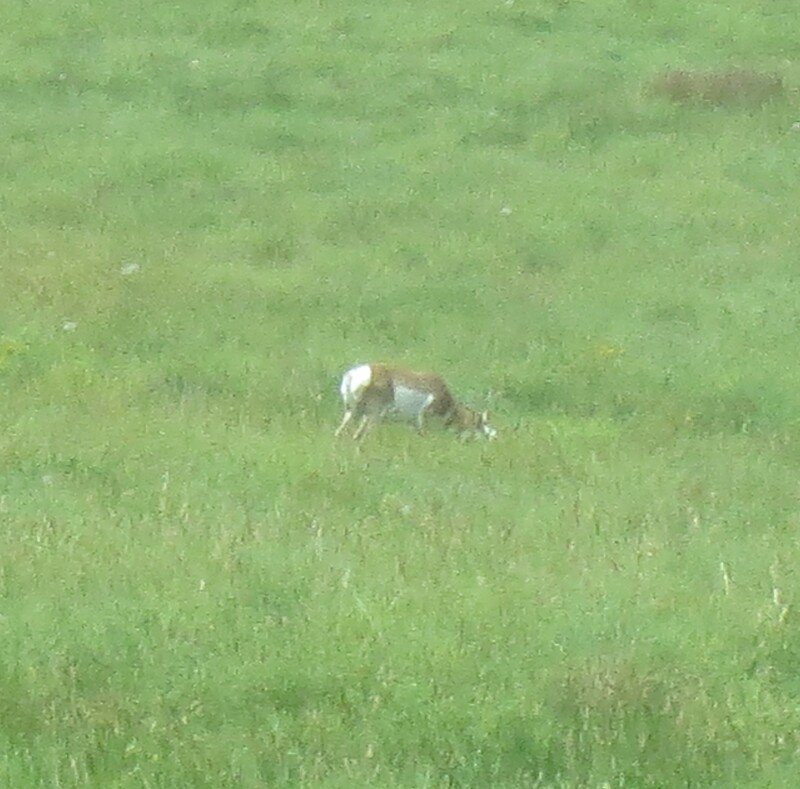 This was the only one losing the velvet off his antlers. We also saw many female over the week in Yellowstone. 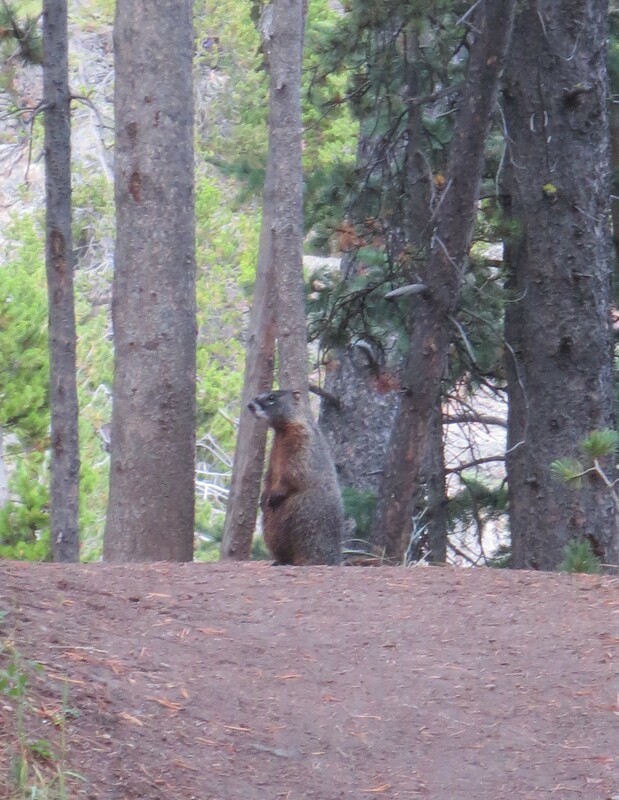 This yellow-bellied marmot crossed our path as we were hiking to the top of Upper Falls in the Grand Canyon of Yellowstone. When he ran, his tail moved as if he were a wind-up toy. This badger did not like that the trail to the river was a little too close to his home. We were a little nervous having to walk past him to get back to our car. 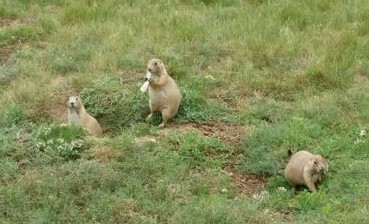 These playful little prairie dogs were right next to the road near Devils Tower in Wyoming. They loved the dried banana slices we were throwing them. We saw several antelope between South Dakota and Yellowstone. This one was in Custer State Park. 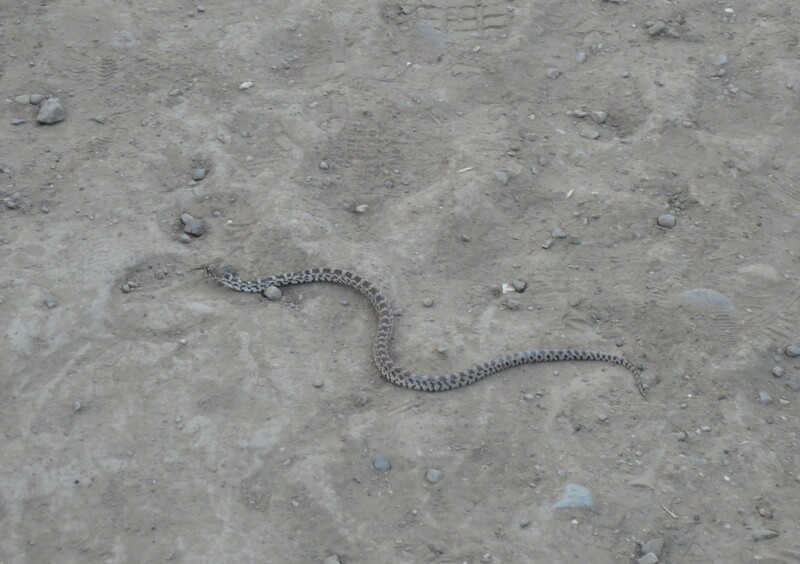 This little snake crossed our path down by the Boiling River in Yellowstone. 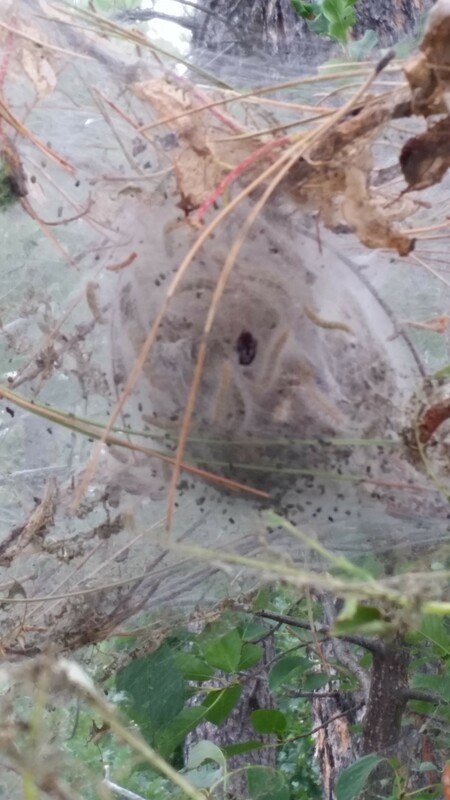 Tent caterpillars of some sort at Devils Tower. 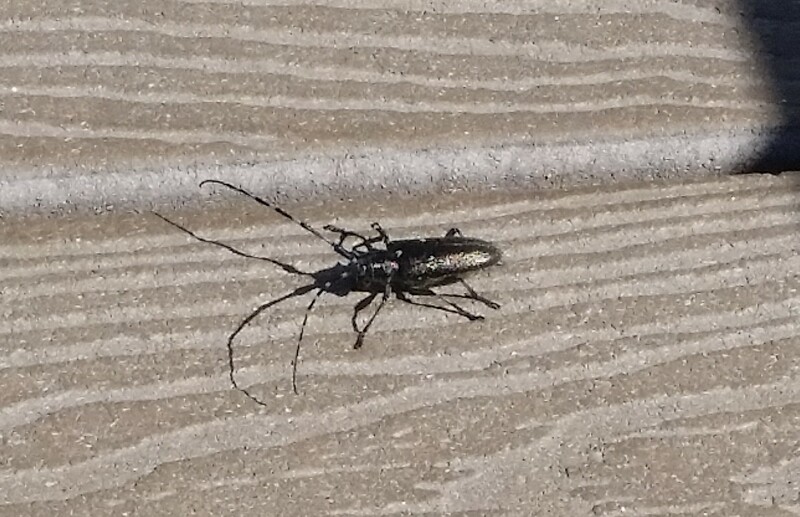 Beetles like this were all over the place. They kept landing on Nikolai.